The weather is starting to cool off, the leaves are falling from trees — some of you have probably already had your first snow! So you know what that means? The CHAOS of Christmas is coming! Or is it? 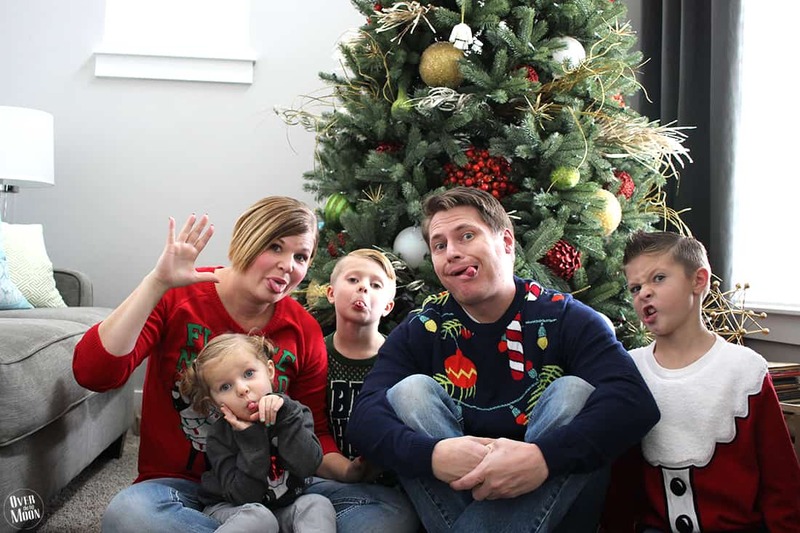 A few years ago I put so much pressure on myself to make the most perfect Christmas for my kids. It was our first Christmas away from family, and I ended up making myself so crazy and stressed that I basically ended up not enjoying any of it! I’m pretty sure I threw a little tantrum even. Haha! So I simplified things, organized a few things, and the last couple years, I’ve had the best Christmases to date! 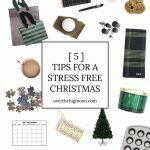 Today I am going to share my 5 Tips for a Stress-Free Holiday! The stress and pressure we put on ourselves as women is sometimes ridiculous! I’m the first to admit that 70% of the stress in my life, I have created or at the very least, allowed. I’m a natural pleaser (we’re always working on that, right?) and I love to host gatherings — especially during the holidays! So, I’ve had to push back a little and set some rules (that’s where these tips come in)! This can get out of control really fast! So, don’t let it. For your significant other, talk to each other and decide what you guys want to do or create a gift budget for each other. For your kids, write down the top 3-5 things they want or you want to get them. For your parents, maybe work with your siblings to buy them one bigger gift or note what you want to get them. For your kids’ cousins, suggest a cousin name exchange. It’s makes it easier and way more affordable. For friends and neighbors, do what sounds FUN! DO NOT let yourself feel obligated to buy a gift for everyone that you’re Facebook friends with! I really don’t do neighbor gifts anymore. It just got to be too much and too costly! We now choose our five or so best friends and give them a family gift! For co-workers, you be in charge for your co-workers and let your significant other be in charge of theirs! We love to gift my Pepper Jelly to them! For Santa gifts, I highly suggest making that a separate shopping trip where you get it all at once (or order it all at once). It’s easier to keep track of who’s giving what! Here’s a recap of the people to include on your spreadsheet. There are a few other winter activities we like to do. If it is not Christmas-specific, we wait until January or February — things like sledding, skiing, ice skating, etc. #2 – DECORATIONS – No keeping up with the Joneses! I’d like to preface this category quickly. If you truly have a passion for decorating and it brings you SO much joy, then you can skip over this tip! Haha! Joy is what we all want this time of year! For me, decorations have a cap, so I’m going to assume there are others like me out there. This is for you! I love a good holiday DIY and putting up the basic decorations each year. But, I have also noticed that especially in this Instagram and Pinterest world, things can get a little out of control. So, all I’m saying is decorate until your little heart is content. NOT, because you’re trying to keep up with your 5 friends and the rest of the neighborhood. Capisce? 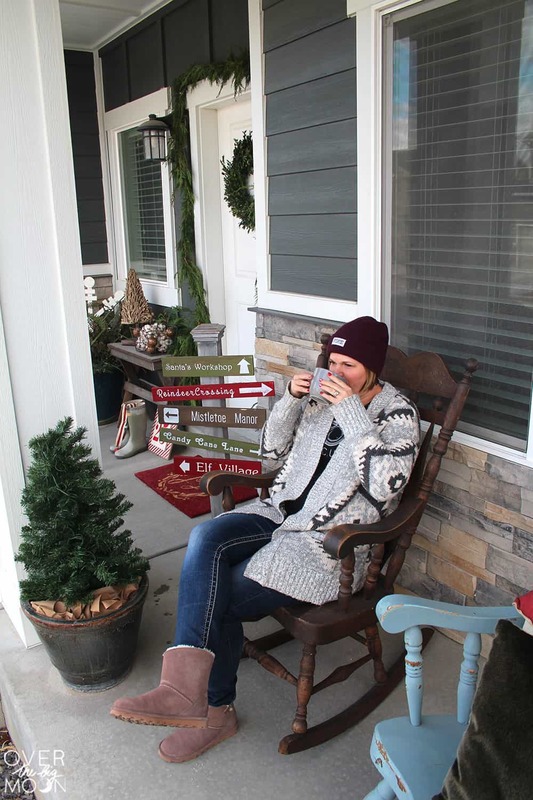 I LOVE decorating my porch, but the inside of my house, not nearly as much! So, I generally put the majority of my focus on my porch and on my Christmas tree! 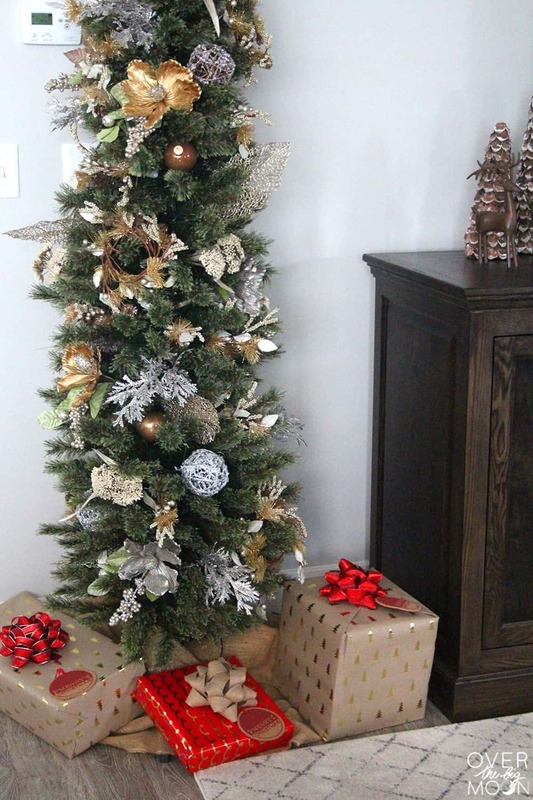 If I try to add decorations all over the place, eventually the clutter starts causing me some additional stress, and the clean up after the holidays is enough to send me over the edge. This year we are keeping things extra simple. Last year our main Christmas tree lights were being a bit finicky, and so I returned the tree to Costco. I had purchased a small, skinny tree for our main living area. Our big tree was in the front room and really not visible in our hang-out area. This year we are working hard on paying off some debt, so we decided to not repurchase the second tree. Honestly, I just feel relieved! Also, don’t feel guilty for not putting up outside lights. We don’t do them, and I would honestly say I really only have a night or two that I wish we did. Then I think about how much work and money they can cost, and I quickly get over that! #3 – TAKE SOME TIME FOR YOURSELF! November and December are often times the busiest work months of the year. With your regular schedule and holiday traditions, it’s extremely easy to forget about yourself. Before you know it, you’ll be wearing the same clothes a couple days in a row. So, don’t forget to allow yourself the time in the morning to get ready and arm yourself for the day. A simple 5-10 minute makeup routine is all you need on these busy days! It will make you feel like you can go anywhere and do anything. On my extra busy mornings, I just throw a beanie on and don’t worry about doing my hair! Knowing I took 10 minutes to look in the mirror is all I need! If you haven’t tried Secret Clinical Strength deodorant, then make sure and grab some next time you go out. It will give you the wetness protection of a prescription-strength product, but with less irritation, making it perfect for everyday use. Secret Clinical Strength Soft Solid is formulated with skin-soothing conditioners to minimize irritation and soothe dry, tender underarm skin. Using it daily allows me to know that I can tackle the holiday season without having to worry that I’m going to sweat or start to have an unpleasant smell! PSA: Right now, through November 26, at Sam’s Club or samsclub.com you can get $5 off any combination of two body and/or hair items like 3-Packs of Secret Clinical Strength deodorant. Because you’re buying the items in bulk, it’s already like you’re saving $12, versus what you’d pay purchasing the items individually. No coupon needed — the savings will be automatically calculated when you check out at the register in the club, with the Scan & Go app or on samsclub.com. The deal is also available on your favorite products from Old Spice, Olay and Head & Shoulders. Also, if you love to take a bath and read a good book, then make sure when you’re organizing your calendar (see tip#1), you schedule yourself at least one night each week to do that! Whatever your relaxer is, then make it happen! I personally am a TV junkie, and I just love getting in a warm bed right after I put my kids to sleep and catching up on my TV shows for the week! #4 – SHOP & WRAP PRESENTS EARLY! This is one of those things that I am sure almost every person THINKS in their head each year. But, for the most part, it just doesn’t happen. So, I’m keeping it on the list, because it’s LIFE changing, guys! For the past two years I’ve done all my shopping in November, and then I give myself until the 5th of December to get everything wrapped! That way I have the whole rest of December to just ENJOY myself and my family! No more stressing about shopping or gifts! It’s just plain heavenly! How do I get it done? Honestly, I shop 80% of my Christmas online! It’s not only more convenient, but it saves me a lot of time and money! I sometimes have an item or two that I have to get on Black Friday in the store. Also, a lot of the little gifts that the big guy brings aren’t cheaper online. So, a trip or two to a store has to happen. But, other than those shopping trips, online is my go-to! As for gift wrapping night, there are a few ideas I have for you. My friend and her husband make a date night out of it. They send the kids to a family friends, order takeout, and wrap together. So cute, huh? That however, doesn’t in any way appeal to my husband. Haha! So, I always get takeout and save the movie The Holiday to watch while I wrap. #5 – LEAVE SOME BLANK DAYS ON THE CALENDAR! What’s the point of Christmas after all if you don’t enjoy it! 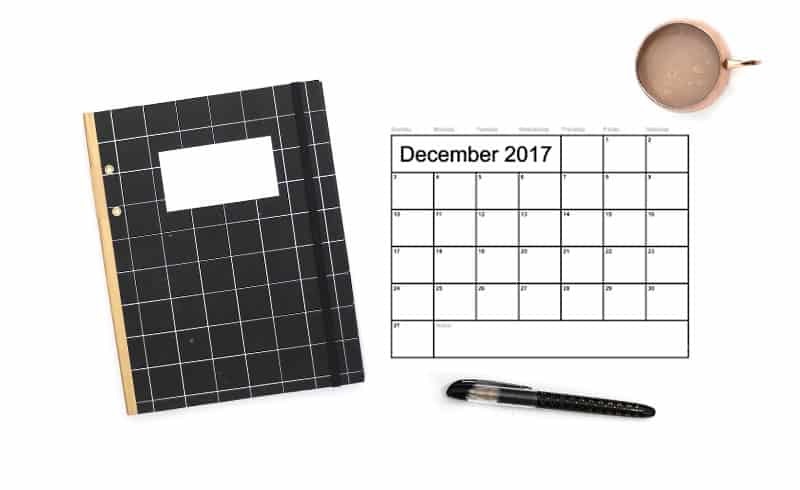 By leaving some blank days on the calendar, it leaves time for spur-of-the-moment memories! Things like games nights, movie nights (there are a trillion Christmas movies you need to fit in), baking, relaxing by the fire with a warm drink and spontaneous outings! My suggestion would be to leave at least one night a week that has nothing extra scheduled! That way after your kids’ basketball practice, you all can snuggle on the couch and watch some Home Alone! Don’t forget to head over to Sam’s Club for all your Christmas shopping this year! Especially to pick up your Secret Clinical Strength Deodorant! 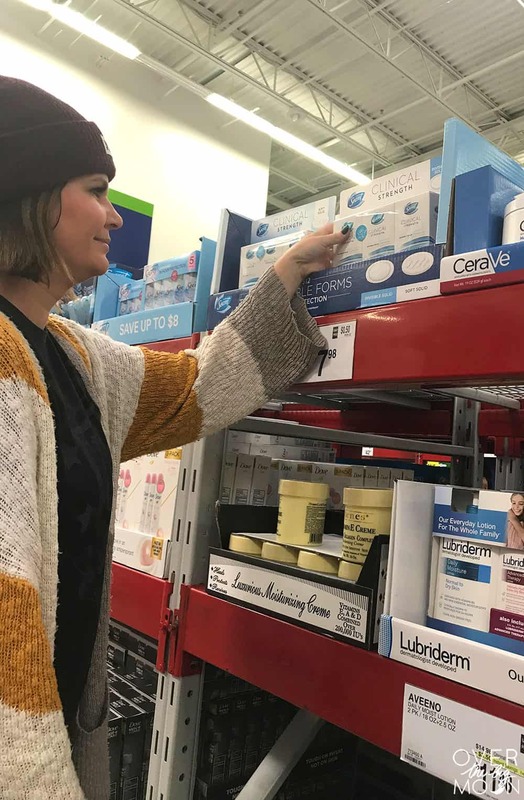 There are several easy ways to shop at Sam’s Club. With the Sam’s Club Scan and Go App, you can skip the checkout line by scanning your items with your mobile device as you’re shopping the club. Then check out with the app and the receipt will appear on your phone. 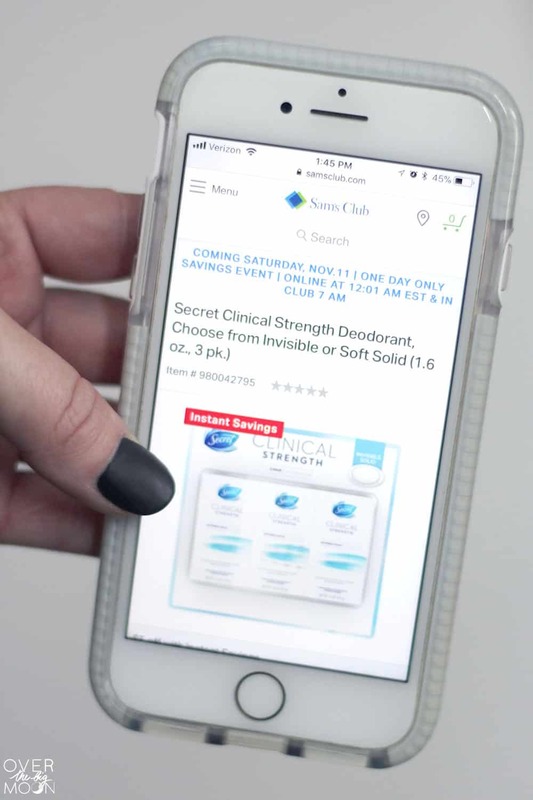 With the Club Pickup, you can order your Secret Clinical Strength, and everything else you need, on samsclub.com and select Club Pickup to have everything waiting for you when you arrive to the club. You don’t even need to leave your car in some clubs – a life saver when you have sleeping kids in tow! Online – Go to the Secret Clinical Strength product page and order for delivery straight to your door. 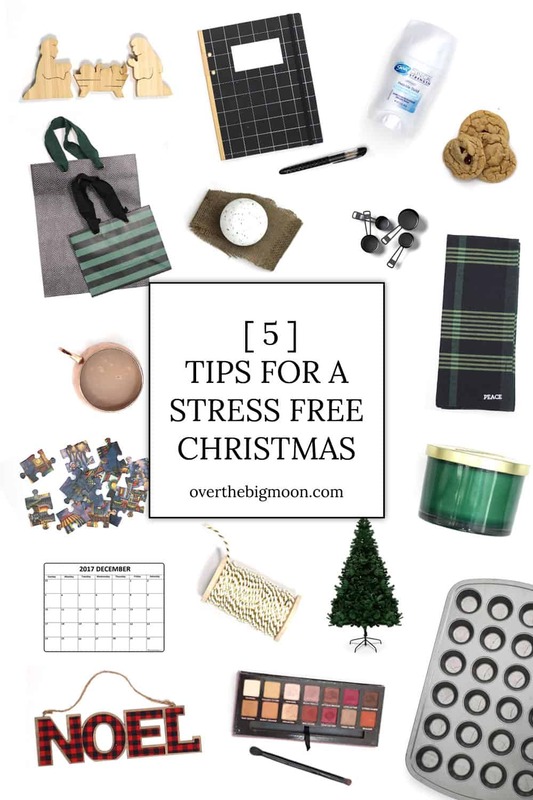 Hope these tips help you and your family have your best Christmas yet! This is a sponsored conversation written by me on behalf of Secret at Sam’s Club. The opinions and text are all mine.